(Correne Coetzer) Commemorating Ernest Shackleton’s 1915 planned crossing, British polar skier, Henry Worsley (55) will be attempting the first solo, unassisted and unsupported, ski crossing of Antarctica this 2015-16 season. 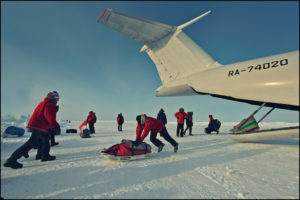 He will be skiing from Gould Bay (Berkner Island) via the Geographic South Pole to the Ross Ice Shelf, descending via the Shackleton Glacier. This will also be the first descent of the Shackleton Glacier. 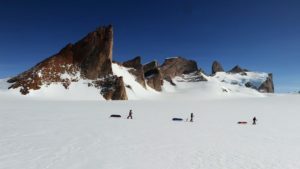 Gould Bay is near Shackleton’s intended start point. According to Worsley, the distance is 1100 miles. [Ed note: correction, not 1700 miles as previously reported.] He has prepared food for 80 days, but aims to complete the crossing in 75 days. 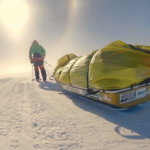 From the start he will be pulling all his food and fuel and gear for the whole journey in his sled. 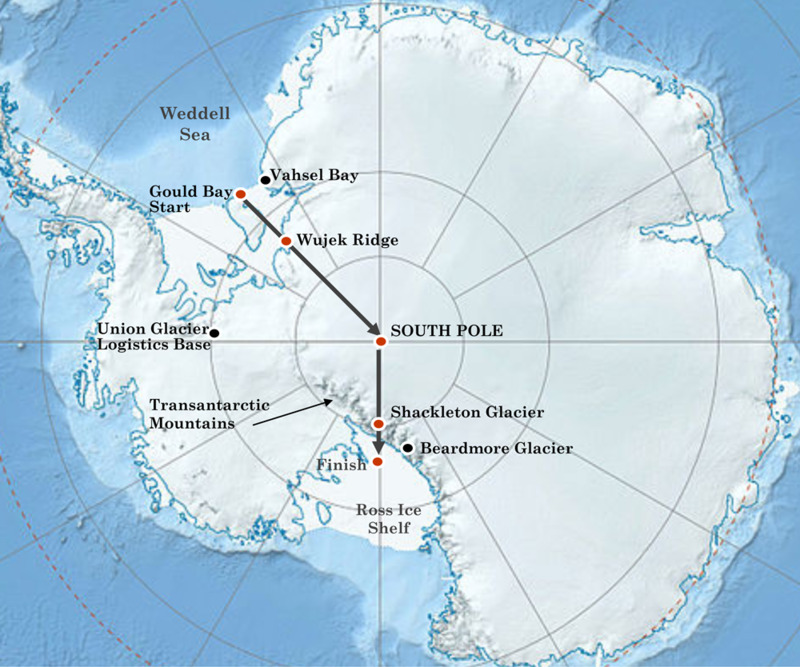 Worsley has already done two full routes (from the coast to the Pole) on Antarctica. 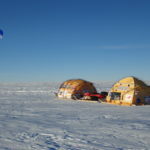 In 2008-09, Henry led an expedition to commemorate the centenary of Shackleton’s 1907-09 ‘Nimrod’ journey, which pioneered a route through the Transantarctic Mountains via the Beardmore Glacier to a point just 97 miles short of the South Pole. The centenary journey, comprised of descendants of the original party, retraced the original route, arriving at Shackleton’s Furthest South exactly 100 years to the day, before completing the journey to the Pole. To commemorate the centenary of Captain Scott’s and Roald Amundsen’s expeditions, Henry returned to Antarctica in 2011-12, leading a team of six soldiers in a race along the original 1912 routes to be first to the South Pole. He led the Amundsen route from the Bay of Whales, up the Axel Heiberg Glacier to the South Pole, a 900 mile unsupported journey. In so doing, he became the only person to have completed the two classic routes of Shackleton, Scott and Amundsen to the South Pole. The 2015-16 expedition is fundraising for the Endeavour Fund, supporting the recovery of wounded, injured and sick Servicemen and women who wish to undertake activities in the physical arena as part of their rehabilitation process. 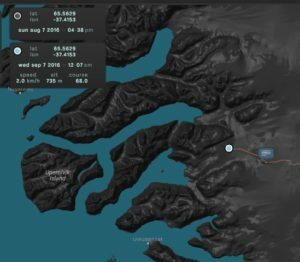 Henry arrives in Punta Arenas Chile on October 21st and will be logistically supported by ANI/ALE from Union Glacier base camp on Antarctica. Weather permitting, he will fly with ALE to Union Glacier on October 27th and start his journey no later than November 10th. According to the Rules of Adventure at AdventureStats.com, the style label “solo” requires that the explorer is alone and receive no outside assistance. A solo performance thus requires the label “unassisted”.